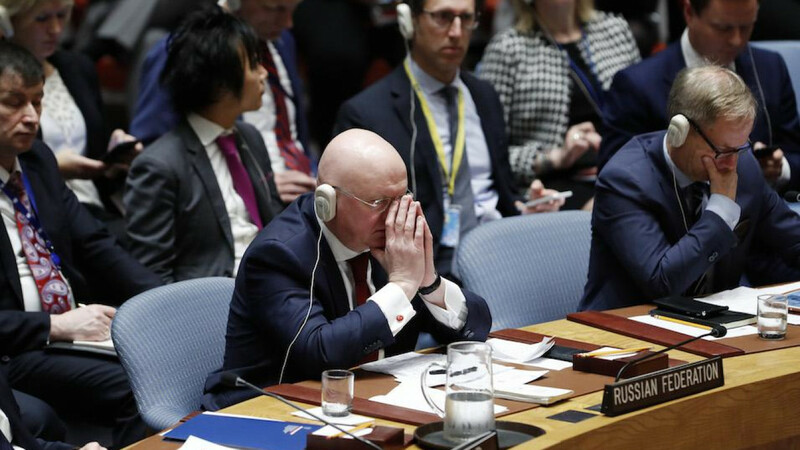 A Russian bid for the United Nations Security Council to condemn U.S., British and French air strikes on Syria over a suspected chemical weapons attack failed on Saturday after only China and Bolivia joined Russia to vote in favor of a draft resolution. The 15-member council met on Saturday, at Russia's request, the fifth time it has met on Syria since a suspected deadly poison gas attack in the Syrian town of Douma a week ago. The United States, France and Britain fired 105 missiles overnight in retaliation, targeting Syria's chemical weapons program. "Why didn't you wait for the outcome of the investigation you called for?" 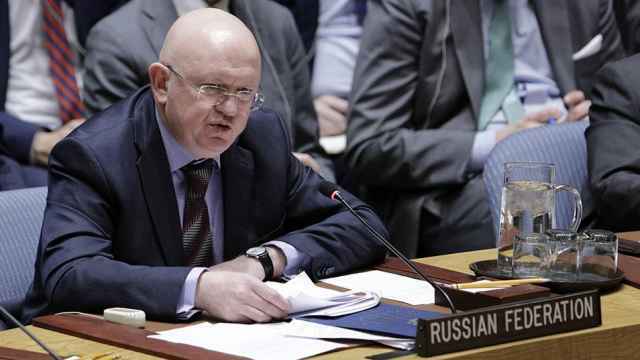 Russian UN Ambassador Vasily Nebenzia said after the vote. He accused the United States, France and Britain of "demonstrating a blatant disregard for international law." "I hope hot heads will cool down and that will be it," he told reporters. International investigators from the global chemical weapons watchdog are in Syria and were due to start their inquiry on Saturday into the suspected toxic gas attack. Russia and Syria have said there was no evidence of a chemical weapons attack. 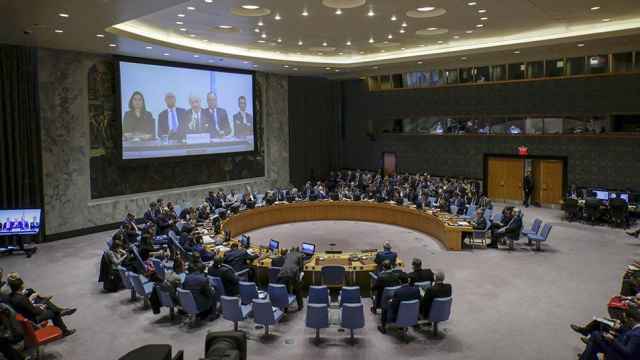 The United States, France and Britain defended their military action as legal during the Security Council meeting. "We are confident that we have crippled Syria's chemical weapons program. We are prepared to sustain this pressure, if the Syrian regime is foolish enough to test our will," U.S. Ambassador to the UN Nikki Haley said. "If the Syrian regime uses this poison gas again, the United States is locked and loaded," Haley said. 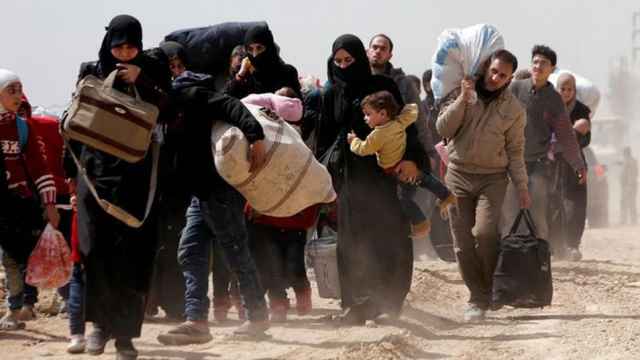 During an address to the Security Council, UN Secretary-General Antonio Guterres urged all states "to show restraint in these dangerous circumstances and to avoid any acts that could escalate matters and worsen the suffering of the Syrian people." Eight countries voted against the Russian-drafted text on Saturday, while Peru, Kazakhstan, Ethiopia and Equatorial Guinea abstained. A resolution needs nine votes in favor and no vetoes by Russia, China, France, Britain or the United States to pass. The council failed on Tuesday to approve three draft resolutions on chemical weapons attacks in Syria. 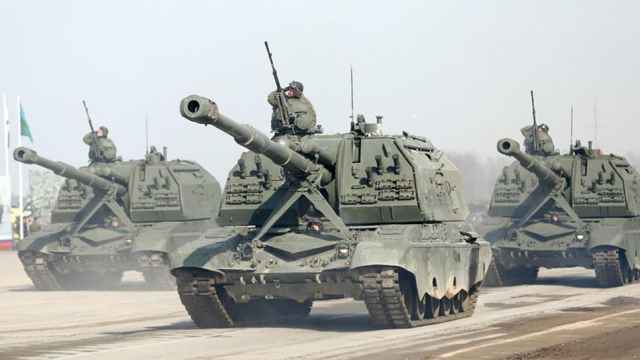 Russia vetoed a U.S. text, while two Russian-drafted resolutions failed to get a minimum nine votes to pass. France, the United States and Britain planned to put forward a new draft resolution aimed at dismantling Syria's chemical weapons program, wiping out terrorism, demanding a ceasefire across Syria and finding a political solution to the conflict, French U.N. Ambassador Francois Delattre told the council on Saturday.